St. Mary’s County wants its teachers to get in touch with history. 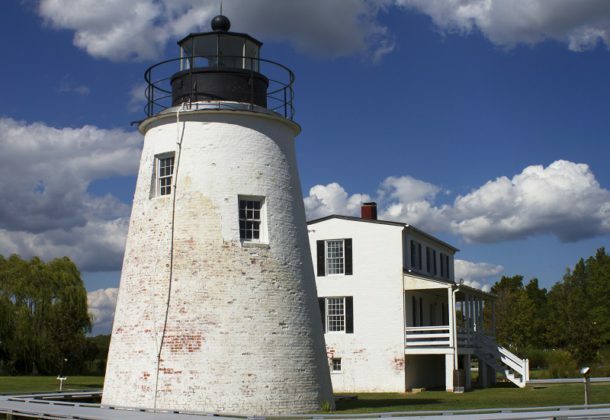 The county’s Museum Division will offer teachers from any educational institution free admission into St. Clement’s Island Museum or the Piney Point Lighthouse Museum & Historic Park when presenting a valid teacher ID at admission. While taking advantage of this opportunity to visit and learn more about these museums and historic sites, teachers are encouraged to learn about “In Touch with History,” a free outreach program, developed by the county, available to schools, senior centers, and non-profit organizations. “These outreach programs consist of skilled Museum Division staff visiting your classroom with interpretive material and conduct a hands-on, experiential program relating to a particular historic topic,” said Karen Stone, St. Mary’s County Museum Division manager. “We want to share the great resources our historic sites have to offer by bringing the museum into the classroom.” All programs can be adapted to suit various age groups, grade levels, and interests. “A Tale of Two Trunks” — Explore the contents of two different “travel trunks” and learn about packing for a journey to the Maryland Colony in 1634, as well as packing for a vacation destination on the Potomac River in 1925. “Solving a Mystery in History” — If you enjoy puzzles, wait until you work with these pieces. Using copies of actual letters, photographs diaries, maps, and other pieces from the St. Clement’s Island Museum Collections, participants become the historians and try to figure out what took place somewhere in the past. “St. Clement’s Island: Small Island, Great History” — This peaceful island retreat was once a popular summer resort, a regular stop for steamboats running between Washington, DC, Baltimore and Norfolk and an area in the line of fire of large naval guns. Find out how the history of this Potomac River landmark unfolds. “Around the House” — Students will be introduced to some of the everyday household items found in an early 20th-century home. Time is allotted at the end of this one-hour program for participants to interact with period objects and learn more about their uses. “The Incredible Shrinking Island” — St. Clement’s Island over the years has experienced a wealth of history, while at the same time being robbed of its soil. Learn how erosion has changed the island and find out what has been done to keep this historic island park intact. The one-hour demonstration includes artifacts, photos, and maps. “Treasures Beneath the Soil” — See how lost possessions of yesteryear can provide valuable information for today. This one-hour presentation will reveal how archaeologists can utilize artifacts to study people from the past. For more information regarding free museum admission, these programs or how the Museum Division can work with you to develop a related classroom program, call Christina Barbour at 301-769-4723.